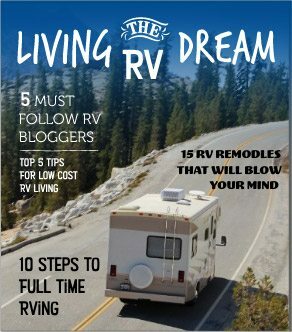 So you want to take your RV boondocking. Maybe you’re enticed by the promise of solitude, wondrous vistas, and lack of camping fees. Maybe you’re sick of paying for expensive, asphalt filled RV parks with no privacy, crowded campgrounds packed with kids on bikes, and 24 hour generator noise. Or maybe you simply want to spend time out in nature. 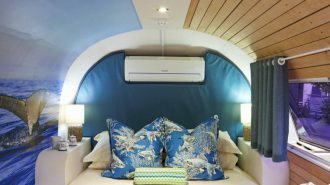 Just you, the trees, the birds, and your 35′ fifth wheel with a queen size bed and state of the art outdoor kitchen set-up. It’s okay. You’re not alone. Gone are the days when getting out in nature means lugging a tent on your back and sleeping on the ground. 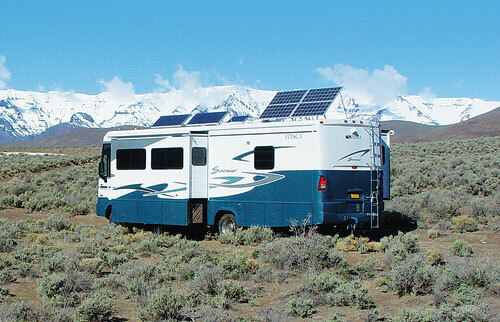 These days RV boondocking is more popular then ever. But how do you get started? 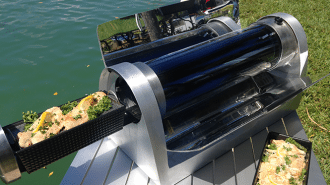 Do you need to invest in ten grand worth of solar power or a 50 gallon extra water tank? Nope and nope. With a little bit of preparation and forethought, anyone with a love of nature and desire for serenity can successfully boondock. 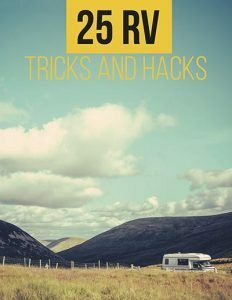 We’ve put together a list of 10 RV boondocking tips you need to know. These ten tips will get out of the campground and back to nature (and you don’t even have to sleep on the ground). 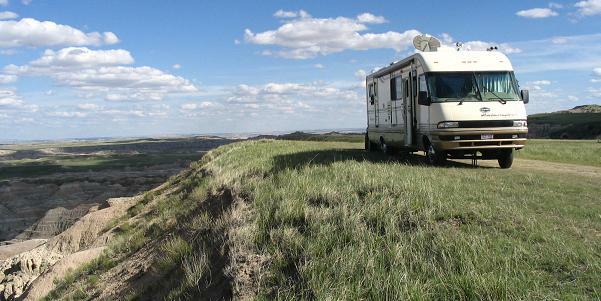 There’s a myth in certain circles that only compact, 4-wheel drive RVs can go boondocking. This is not true! Can a 45′ motorhome boondock in all the same spots as a 4X4 truck camper? Of course not. 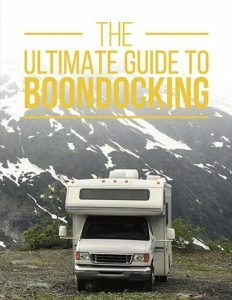 But those who travel in 45′ Motorhomes can, anddo, successfully boondock in many places. 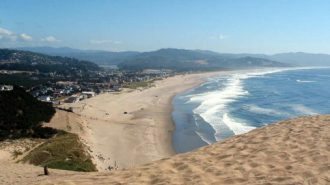 There are lots of areas around the country, the west in particular with its large swaths of public land void of trees and other obstacles, where all kinds of RV can find suitable boondocking sites. 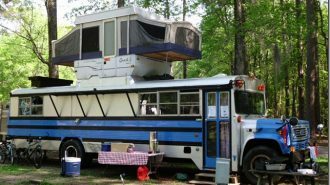 Don’t let the sizeof your RV deter you from boondocking. Successful boondocking takes a bit of preparation. Before you go barreling down that narrow forest service road it’s best to scout ahead. Discovering that you have no place to turn around your 40′ motorhome after you’ve already driven five miles down the road can be a tricky situation. If you have a tow vehicle, or a vehicle that you tow behind, find a safe place to leave the RV and scout the area. If may even be beneficial to stay in a campground for a night while you explore the area for that perfect boondocking spot. Information about potential boondocking sites is plentiful. You can chat with locals, visit the forest ranger station, read travel blogs, or participate in online forums. But no matter what, it’s always important to scout ahead. Of all the resources that limit the ability to boondock, water is probably number one. Running out of fresh water is usually the first thing that drives people back to the campground. 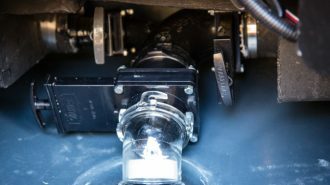 But with a little conservation it is possible to conserve water in your RV. You can take short military showers, use wet wipes for hand washing, catch dishwater in a tub and use it flush the toilet, eat off paper plates, or invest in an outdoor solar shower. 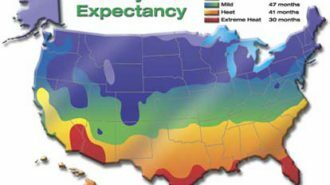 If you do run out of water, be sure you know where to get more. Carry along a few 5-7 gallon water jugs (you can buy thees at any camping supply) and bring them to the water source instead of dragging along the entire RV. Don’t let a lack of water ruin your boondocking adventure. You know how in a campground there are rules that we all must follow? The same goes for boondocking. It’s really quite simple. Rule number 1: Be courteous of your boondocking neighbors. That means don’t infringe on someone else’s space, don’t park close to another camper and blast your music until three in the morning, and please, please, please, refrain from running your generator for excessive lengths of time. Rule number 2: Leave your boondocking site as clean, or cleaner, then how you found it. Pick up your trash, put out campfires, and don’t dump grey or black water on the ground. That’s it! A few simple rules to ensure everyone has a good time. 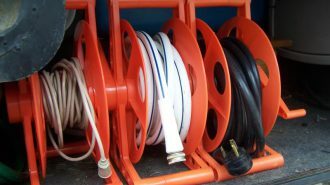 Before embarking on a boondocking adventure it’s a good idea to take stock of your electrical needs. If you don’t already have a battery monitor, get one. It can go a long way towards taking the guess work out of your battery levels. 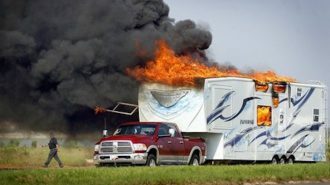 Next time you use your RV do a power test. Unplug from the power pedestal for a few hours and keep an eye on the battery monitor. See how much power you use when doing normal activities. 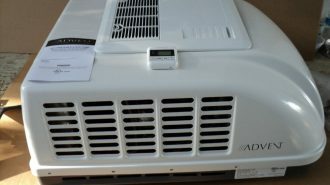 If you have an inverter (converts DC power to AC power) turn it on and use power hungry appliances such as the microwave and T.V. Observe and learn how much power you need on a daily basis. 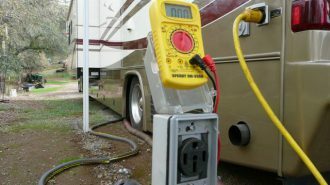 Once you know how much power you need you can decide on your boondocking power strategy. Maybe you have plenty of power with your existing batteries and generator to charge them. 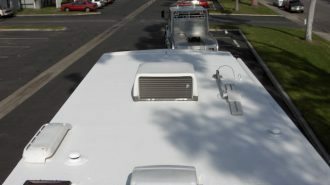 Or maybe you’re a little short and want to get an extra battery for boondocking, or even invest in a solar panel or two. Whatever the decision, it’s always best to asses ahead of time and know how much power you need. 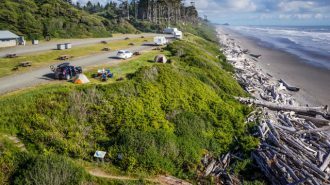 It might seem like that open field in the middle of a national forest is a great place to park your RV, but the truth is that even our federal lands are subject to regulations when it comes to boondocking. Sometimes it can be difficult to know where it’s okay to boondock and where’s it’s not. 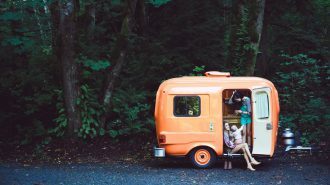 There are a few ways to ensure that you’re not inadvertently camping where you shouldn’t be. The easiest is to check in with the local rangers. All national forests and BLM lands are split into districts managed by rangers. A quick internet search will tell you where the district office is located, or how to get in touch with them. Theses offices are often stocked with land use maps and the rangers can tell you the roads and sites that are okay for camping. Another easy way to learn about land regulations is to purchase Benchmark Road & Recreation Atlases. These highly detailed maps are clearly marked with public land boundaries. 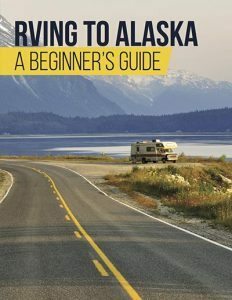 You will have to purchase one for each state, but if you are planning on boondocking for more than a few days, the savings in camping fees alone makes the price worthwhile. RVing in the wild is not without risks. One of those risks is having a run in with the local wildlife. Remember, you are in their territory! A little common sense can go a long way towards avoiding an unpleasant encounter. First of all, keep a clean camp. Don’t leave food or trash where the smell might attract wildlife, and always keep food scraps out of the campfire. Second, if wildlife does approach your camp, exercise caution. 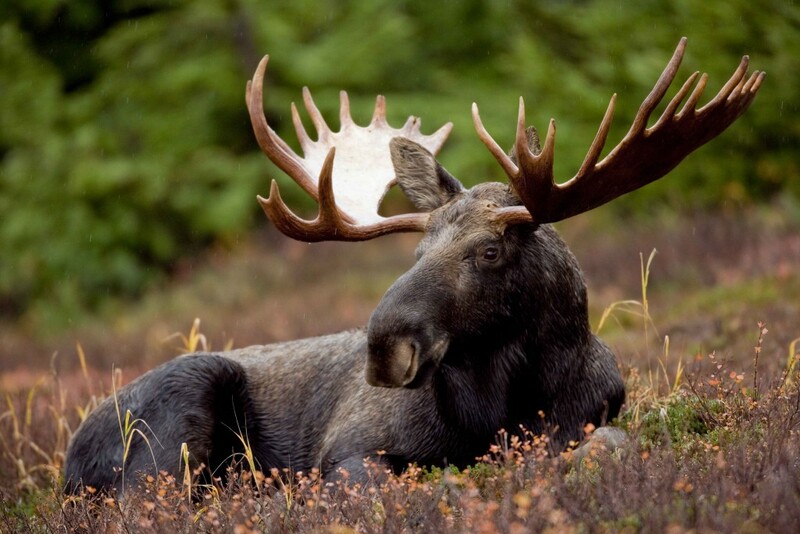 If you want to photograph the wildlife do so from a safe distance and watch for warning signs. If the animal appears agitated you are probably too close. Most seasoned boondockers will tell you they don’t feel any less safe camping out in the wild then they do in the middle of city. Just because you are far from civilization doesn’t mean you are inherently in a more dangerous situation. After all, bad things can happen anywhere. 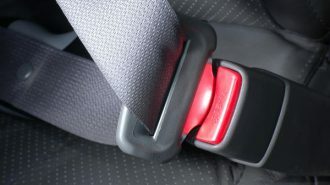 But that doesn’t mean you shouldn’t take precautions. 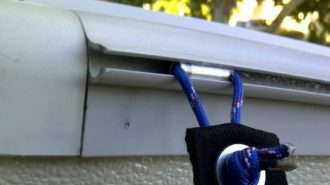 The simplest way to deter trouble at your boondocking site is by not leaving out expensive items. Stow or secure your fishing poles, bikes, portable grill, generator, etc. when not in use. Don’t temp potential thieves. You also might want to consider some form of personal safety. Be it a can of mace kept by the front door, a firearm (if you’re traveling to another state be sure to follow the proper regulations for firearm possession), or a baseball bat next to your bed. Chances are you will never encounter a would be thief, or worse, when boondocking, but it can’t hurt to be prepared. What you bring in, you must take out. If you’re boondocking 30 miles from the nearest town for two weeks, keep in mind that you will need to haul out any trash that you make. 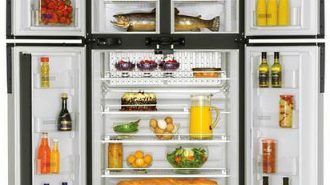 There is no better motivation for reducing waste then having to store it in your truck or the back of your motorhome! One of the easiest ways to reduce trash can be done before you even began your trip. When packing your RV with food for a boondocking adventure remove as much packaging as possible. Store things such as cereal, crackers, granola bars, and pasta in reusable plastic containers. Take meat out of the foam and plastic wrapped packages and store it in sealable plastic bags. Skip the packaged meals in favor of whole foods like fresh veggies and dried rice. 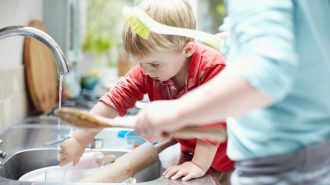 A little preparation beforehand can go a long way in reducing waste later. Boondocking often means traveling outside of cell service range, and it’s important to be prepared in case something goes wrong. Bringing along a few items such as a well-stocked first aid kit, emergency road side tools, and some basic around the house tools is always a good idea. Other items such as a portable shovel, water purification device, and emergency flares may also come in handy. What do you think? Are you ready to go boondocking?